Jahn Teigen (born 27 September 1949) is a Norwegian singer, musician and comedian. He represented Norway in the Eurovision Song Contest three times, in 1978, 1982 and 1983, and became known throughout Europe as a result of his 1978 performance in the contest, which won "nul points" (a zero score) for Norway. His given name was Jan; he added the silent H later. Since October 2006, he has resided in Sweden. Jahn Teigen was born in Tønsberg. He started his career in the late 1960s, when he released a few singles and one album with Enemies. However, his commercial break-through did not come until the early 1970s as the lead singer of the six member rock band Popol Vuh. They released three successful albums, the first self-titled in 1973. Their most popular album was released in 1976, called Stolen From Time, but this time under their new name Popol Ace, to avoid confusion with the German rock band with the same name that also was popular in the 1970s. Popol Vuh is actually a Maya Indian word in the Quiché language, meaning book of the community. Popol Vuh/Popol Ace was actually a refinement of the even older eight member group Arman Sumpe Dur Express. During 1971 and first half of 1972, Arman Sumpe D.E. was on an ever-lasting concert tour throughout Norway playing more than 140 concerts. Jahn performed at one of Europe's two largest music festivals, the Roskilde Festival, in 1972 he became one of the major attractions as part of Popol Vuh (credited as Arman Sumpe). 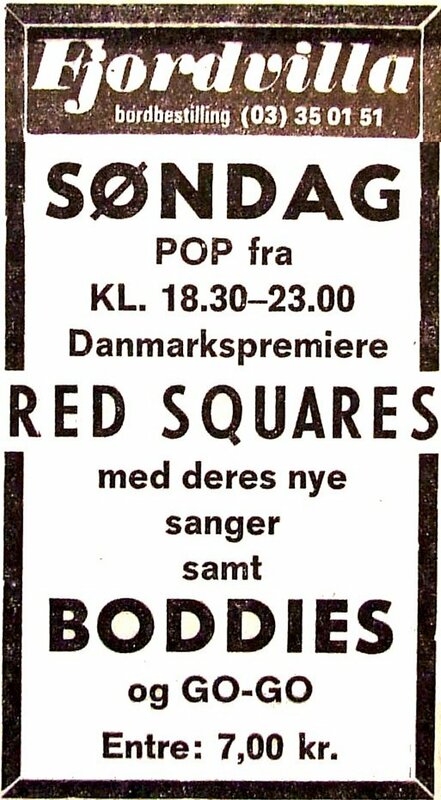 He had previously performed in Roskilde at the Fjordvilla Club in 1968 with the band Red Squares. Jahn Teigen was a member of the Norwegian humour trio Prima Vera, with Herodes Falsk  and Tom Mathisen, who released seven albums between 1977 and 1984. Most of their repertoire consists of popular hits with the most ridiculous lyrics. (This struck a chord with the Norwegian audience, since, at the time, to ensure airplay, English-language songs often were re-recorded with Norwegian lyrics.) Their breakthrough album, 1978s Brakara, went to number 1 in the charts and sold more than 100,000 copies, and includes Teigen's spirited mock-Russian rendition of Mil Etter Mil, Zagra Znja Zagra. This 30-second version is the only available recording of the original arrangement; whether in English or Norwegian, Jahn Teigen's serious recordings of the song feature more electric guitar. The serious version was also a huge hit, making Teigen one of the few performers ever to have success with both a serious version and a parody of the same song simultaneously. Prima Vera had a number of hits, including such classics as Så lykkelig i Sverige ('So happy in Sweden', a version of The Turtles' Happy Together), Det er Norge som er bra and De gærne har det godt. Teigen decided to leave the band in 1984, which made the band break up and caused a hateful relationship between him and the other members for several years - they finally reconciled in 1999. In 1978 in Paris Jahn Teigen made his first appearance on the Eurovision stage, performing the song Mil etter mil (Mile after mile), which became famous for not receiving a single point from any of the participating nations. This was the first occurrence of zero points with the new, and current, voting system of the Eurovision Song Contest. Despite the obvious lack of international recognition, the song gained a huge audience back in Norway where his countrymen embraced it. The single dominated the national singles chart for more than four months, being among the ten most-bought singles for no less than 19 consecutive weeks, for five of those also topping the chart for the most popular international hit of the nation. Still, having been in the nation's spotlight for more than 30 years, this remains his most successful hit. Teigen's runner-up single was called Jeg gi'kke opp, meaning I don't give up, and his first album release the same year was just as self-ironic, as it was entitled This Year's Loser. Jahn Teigen returned to the Eurovision stage in 1982 in Harrogate, United Kingdom, where he sang Adieu in duet with Anita Skorgan (to whom he was married 1984-1988 and with whom he has a daughter) ending up at 12th place. In 1983, in Munich, Germany, he went solo again, with Anita Skorgan and three other women as backing vocals, with the melody Do re mi, composed together with Anita Skorgan, which rendered him his finest position, a respectable 9th place. Jahn has taken part in the Norwegian national Eurovision final, called the Melodi Grand Prix, the most times, more precisely fourteen; 1974 (Hvor er du), 1975 (Kjærlighetens under), 1976 (Hastverk and Voodoo), 1978 (Mil etter mil), 1980 (Ja), 1982 (with Anita Skorgan Adieu), 1983 (Do Re Mi), 1988 (Glasnost), 1989 (Optimist), 1990 (Smil), 1993 (Jackpot), 1994 (Gi alt vi har), 1996 (as part of the duo To Tenorer with Ariel) and once again as late as in 2005 with My Heart Is My Home. In addition to this, Teigen has been the host of Melodi Grand Prix and provided the interval act of the Melodi Grand Prix on a number of occasions. He has also acted as commentator for Norwegian television in 1991 in Rome, together with Jon Andreassen. Teigen has released 17 albums as a soloist as of 1 January 2006. Six of these were best of collections, the last two being Jahn Teigens beste in 1994 and Fra null til gull (From nul till gold or From zero to hero as Teigen stated he would call an English release) in 2004, celebrating his 35+ years as popular artist. His most successful albums to date were En dags pause (One day's break) released in 1979, Mentalkrem (Mental cream) in 1980 and Klovn uten scene (Clown without stage) in 1988. In 1992 he took the part of the Executioner in the London run of the heavily panned Norwegian opera-musical Which Witch. All We Have (2003) A box set with all their studio albums remastered on CD + one CD only available in this box called Popoloddities with demos, rarities and live recordings. Five songs were taken from a reunion concert (with Jahn back) at Rebekka West in Oslo in 1994. Silently Loud (2004) two DVD set with one DVD containing a reunion concert at Rockefeller in Oslo in 2003 with KORK[clarification needed] and one containing material from the archives of NRK (Norsk rikskringkasting) from the 1970s. ^ Barclay, Simon. Eurovision Song Contest - The Complete & Independent Guide 2010. Simon Barclay. p. 66. ISBN 978-1-4457-8415-1. Retrieved 6 August 2011. ^ Barclay, Simon. Eurovision Song Contest - The Complete & Independent Guide 2010. Simon Barclay. p. 74. ISBN 978-1-4457-8415-1. Retrieved 6 August 2011. ^ Barclay, Simon. Eurovision Song Contest - The Complete & Independent Guide 2010. Simon Barclay. p. 76. ISBN 978-1-4457-8415-1. Retrieved 6 August 2011. ^ "Line up 1972". Roskilde Festival. Retrieved 25 October 2016. ^ "Set list for The Red Squares". setlist.fm. Retrieved 25 October 2016. ^ "Ad from Fjordvilla Club". Gallerishoppen. Retrieved 25 October 2016. ^ "Biography". The Red Squares home page. Retrieved 25 October 2016.